There are inspired ways to share the Good News, but there are other faith-based efforts that are less noteworthy and often head-scratching. 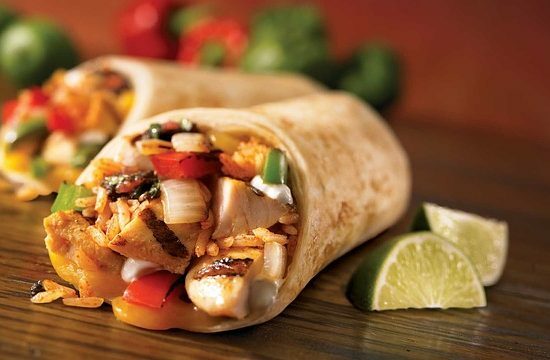 I have a secret suspicion that the cause can be attributed to a bad burrito and a good case of indigestion, thus these annual Bad Burrito Awards from the past year. Ken SatterfieldAll wet. You may not know the name Warner Sallman, but his painting of Christ at Hearts Door is a well-known interpretation of Jesus standing at the door and knocking (Revelation 3:20). Others realized it could share a much more powerful message as, say, a shower curtain. (Plus, there’s the water conversation encouraged by knocking to keep the showers short.) Other holy-but-not holey curtains in this genre have scenes of Calvary and the woman at the well, “muscle Jesus”or Jesus holding a child stating “Come Follow Me” (tinyurl.com/BBurrito-1, available through Walmart and elsewhere). “Dirty” theology. Finished with your shower, why not use a towel combining the benefits of hygiene and prayer because “Jesus and germs are everywhere,” Also available as tea towels and soap dispensers (tinyurl.com/BBurrito-2, available through Amazon). Speaking of wet blankets… Ken Ham (“Answers in Genesis”) gets a Bad Burrito Award all his own with his efforts to bring the message of Jesus into the fun of Halloween and in a way that takes away from both. His “Halloween Learn & Share Kit” encourages sharing tracts like “A Biblical and Historical Look at Halloween.” So instead of giving away goodies, you can help children think about eternity in hell if they break the Ten Commandments (tinyurl.com/BBurrito-3). Fun! Is Jesus your pilot? Good. However, if Jesus is your password, you’ve just won your own Bad Burrito Award! In a year when there have been some enormous data breaches, an analysis of one of these breaches found that “Jesus” was the 30th most common password and top in Christian-related passwords. If you want to keep your information and accounts safe, change it (tinyurl.com/BBurrito-4). Bad timing. Oasis Church of All Nations in Oxford Miss. decided to host a raffle to raise money for a discipleship program. Not too unusual, but this church raffled two AR-15 rifles – the week after the Las Vegas shooting that killed 58 people and wounded hundreds more. And used children to sell tickets (tinyurl.com/BBurrito-5). A related runner-up is the unidentified couple in Tennessee that were hurt when the husband accidently shot both of them discussing…church shootings (tinyurl.com/BBurrito-6). In the same vein, Russia operatives who used religion and patriotism to produce fake Facebook ads come in a close second – and you too, if you shared any of them (tinyurl.com/BBurrito-8). Consider how your faith looks to others, but keep your fervor in good taste! Ken Satterfield, a former media specialist, is Marketing Coordinator for Word&Way. He welcomes your product suggestions. By the way, inclusion in this article does not constitute an endorsement.